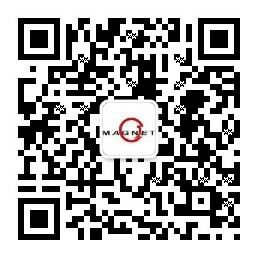 CJ Magnet Industry Co.,Ltd is one member of Sheensen Magnetics Technology Co.,Ltd, which is the pioneer of magnetic material industry in the world ; Sheensen Magnetics is a dynamic manufacturing, engineering company specializing in neodymium magnet, magnetic assemblies and magnetic solutions. Our 498,000 sq. ft. facility in Anji and Ningbo, Zhejiang province provides designing, manufacturing and in-house tooling capabilities that world-class organizations rely on to support their operations. Annual capacity of Sintered NdFeB magnet 3500 tons ;Ferrite magnet 6000 tons/year currently. our team will work with you through all phases of your project, including requirement planning, design and engineering, manufacturing, precisely meets, shipping and logistics. Thank you for considering CJ Magnet for your needs; It is an honor to have this opportunity to serve you. CJ Magnet is committed to providing our customers with defect-free products in a timely fashion at the lowest price; We make a considerable investment in our production and R&D equipment to guarantee our quality, which ensures our products precisely meet the original design requirements. We continuously work with our customers for their changing requirements and develop quality procedures to meet those requirements ; We strive to achieve best-in-class quality and reliability on our magnet and magnetics, using a system approach which emphasizes quality at every phase of product development. Quality is built-in and assured through stringent Statistical Process Control (SPC). SPC technique is used to optimize our production processes. The use of Statistical Methods has become an integral part of all of our business practices. CJ Magnet is an magnetics engineering solution provider and maintains a provincial Key R&D center and Lab; We work with China Jiliang (Quality) University to set up a "Permanent Magnet Material Research and Development Center" , own more than 20 China National Patents. Our engineers have many years of experience in developing innovative magnet and magnetic solutions for applications in many industries. Help our clients find the optimum magnet and optimize our clients' current product's design. We are commit to lean manufacturing, as well as the 5S workplace organization methodology, which allows us to meet and exceed yield and utilization targets. All parts are manufactured under control in house, even including tool build capabilities and machine maintenance. We welcome you to visit our factory at any time so you can see how your parts are being manufactured, demonstrating the procedures we have in place to ensure the quality and value we can bring to your product. Customer relationships are the most important facet of our business and we strive to ensure 100% satisfaction. Our international supported customer service team is available to answer your questions 24 hours a day and 7 days a week. If you have questions or concerns, please do not hesitate to contact us.